Breastfeeding Twins: Getting off to a Good Start. First of all, don’t listen to anyone who says you won’t be able to do this! If you can make enough milk for one baby you can make enough for two! In fact, the research shows that mothers with twins make MORE than double the amount of milk for one baby and moms of triplets make more than triple. Yes, our bodies over-compensate. Another cool thing. Your breasts know you are carrying twins before they are born and prepare accordingly! 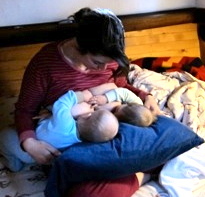 Find other moms who are breastfeeding twins and enlist their support. 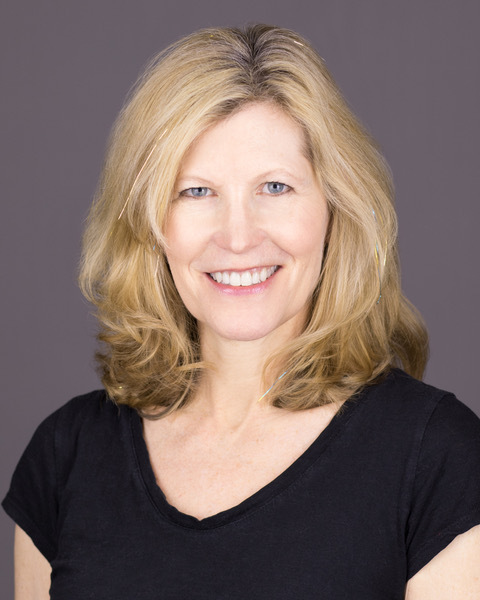 La Leche League may be a good resource to connect with moms of multiples. Many communities have support groups for families with multiples. In Seattle, it’s Seattle Families of Multiples. Get connected while you are pregnant! It would be a good idea to meet with a Board Certified Lactation Consultant (IBCLC) while you’re still pregnant. Especially true if this will be your first experience breastfeeding. She will help you find resources, locate the best breast pump and help you develop a plan for success. Read books about breastfeeding—general books as well as books about twins. One of my favorite twin resources is “Mothering Multiples” by Karen Gromada. Plan on renting a hospital grade pump to use until your milk supply is established. If the babies are born early, or one or both have trouble breastfeeding at first, you will have a machine that can act as a substitute for your babies. Pump as often as your babies eat! Of course, if your babies are both nursing well from birth, you will have no need for a pump. Remember if only one twin is nursing well, you will still need to pump to simulate 2 babies at the breast! Research shows (as well as the experience of my clients) pumping 8x a day will yield the same amount of milk as pumping every 3 hours. So if babies can’t breastfeed yet, give yourself a break and sleep for 4 hours in a row at night. You can pump more often during the day to get in those 8 pumpings! Hire an experienced, trusted lactation consultant (IBCLC) as soon as possible after the babies are born. It’s very important to get things off to a good start. Expect the LC to be supportive of your efforts and positive about your desire to exclusively breastfeed. I recommend asking her about her experience/philosophy before you meet with her. Your local twins group may have some recommendations. Plan on doing nothing but feeding babies, feeding yourself and sleeping for the first 3-6 weeks. (Longer if the babies are premature) You will need help for meals, laundry, cleaning and errands. Let your wonderful helpers do everything non-baby. Your babies need you! Everything will feel much easier and you’ll be able to cope well if you take good care of yourself. Hiring a postpartum doula who is experienced with twins is a great investment! If you’re having trouble with supply or babies aren’t breastfeeding effectively, try pumping for 5-10 minutes immediately after breastfeeding them. This will help you remove any milk they left behind and tell your body to make more milk. Breastfeed simultaneously as much as you can. This tells your body definitively that you have twins and you need to make a lot of milk NOW. Familiarize yourself with lactogenic foods. Milkmakers are one delicious way to help your supply. Foods that are rich in calcium and iron are also supportive. There are a variety of herbs and medications that can help increase your milk production, but please check with your IBCLC for advice! Yes, it’s true that some mothers are not able to make enough milk for their babies. If that is your situation, you can still breastfeed. You can use donor milk or formula for supplementation when necessary. Note: Many sets twins or triplets were conceived with the help of IVF or some other technology. If you have fertility issues, please be extra cautious the first week or so after the birth of your babies and seek help from an IBCLC immediately after birth. Some causes of infertility are correlated with low milk supply. If you are prepared, you can avoid unnecessary newborn weight loss.